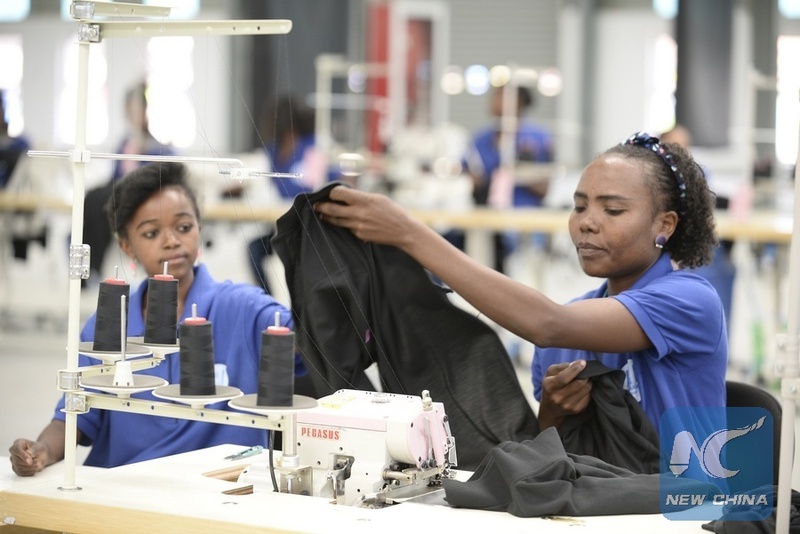 ADDIS ABABA, June 25 (Xinhua) -- Ethiopia's flagship Chinese-built Hawassa Industrial Park has proved successful in just less than a year as it has attracted various world-class textile and apparel companies to the east African country. One among the renowned companies that have shown interest in the Hawassa Industrial Park is PVH, a company known for marketing diversified portfolio of brands including Calvin Klein and Tommy Hilfiger. The company has already established its first manufacturing industry in the Hawassa industrial park. The industrial zone has so far welcomed 18 companies that have already started operations inside the park. Six of them are presently exporting their products to the international market. The east African country has targeted to generate 1 billion U.S. dollars annually once the park starts operations at its full potential. 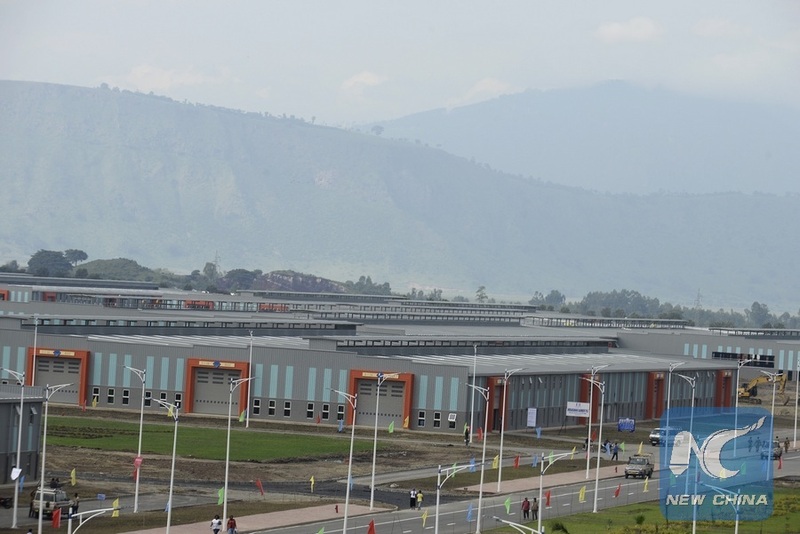 Built by China Civil Engineering Corporation (CCECC), the Hawassa industrial park, located in Ethiopia's southern city of Hawassa, some 275km south of the capital Addis Ababa, was initially completed in a record time of nine months back in July 2016. Ethiopian Prime Minister Hailemariam Desalegn, speaking at a ceremony marking the park's official operation commencement on Monday, said that his country's favorable business environment is drawing a growing number of foreign investors and huge Foreign Direct Investment (FDI). The premier further asserted that the Hawassa industrial park can be seen as a "foundation in Ethiopia's ambition to be the manufacturing hub of the African continent." The Ethiopian Investment Commission has also announced its plan to replicate the best lessons obtained from the Hawassa Industrial Park to other parks being built across the country. The Ethiopian government highly believes that the development of industrial parks is the major path for the country to realize its vision of becoming manufacturing powerhouse in the African continent. In this regard, the country has budgeted more than one billion U.S. dollars for the construction of industrial parks in the second five-year Growth and Transformation Plan (GTP-II) period, effective from 2015 to 2020. The Ethiopian government expects the development of industrial parks throughout the country would increase the share of the manufacturing sector to the country's agriculture sector dominated GDP, in which the manufacturing sector stood at only 5 percent for many years. After proved successful by attracting PVH to the flagship Hawassa industrial park as an anchor company, the Ethiopian Investment Commission has planned to replicate this plan further to Mekele and Kombolcha industrial parks that are expected to be operational by the end of this month. Mekelle and Kombolcha Industrial Parks, located some 783km and 252km north of the capital Addis Ababa respectively, are also under construction by Chinese companies. The Ethiopian Investment Commission is eyeing on Vanity Fair and H&M, among other companies, to make establishment in the two parks that are dedicated to the textile and apparel sector.